Americans Rediscover The Kick Of Hard Cider : The Salt The fruit-based alcoholic drink may not yet rival beer in popularity, but sales have been increasing rapidly in the past few years. A variety of flavors and the use of fruits other than the traditional apple are helping to attract a new generation of hard cider drinkers. Among the impressive assortment of beer taps at Two Brothers Tavern in Middlebury, Vt., for example, is one that is bright green and shaped like an apple. "Sales have probably doubled, tripled in the last two or three years," says Two Brothers bartender Andy Buxton. "It used to be nothing. But nowadays probably 30 percent of people who are coming in here are demanding cider, not just asking for it. Even our locals who are drinking Budweiser are starting to switch over to a little bit of cider." Amanda Geiger of Binghamton, N.Y., began drinking hard cider a few years ago. "I think pretty much everywhere you go you see at least one cider on tap now." And she says there's a tremendous variety in flavor. "It's not all like sweet apple juice with a kick — [there's] more variety. You've got your drier ones, your sweeter ones, you've got your spiced ones. And I just think there's more room for everyone's taste in there." Cider's popularity has evolved since the late '80s, when the rise of microbrewed beers began, sparking a renewed interest in small batch brewing. But it's only in the last few years that cider's popularity has exploded nationwide, attracting marketing giants like Miller Coors and Anheuser-Busch. Andrea Riberi, a beverage analyst for Nielsen, the market research firm, says it helps that cider appeals to both sexes. It's gluten free and seen as something new. "People who were born in the '80s and '90s — which we call millennials — they really want what's new, they're always looking for the next big thing," she says. And the next big thing is hard cider, often with new flavor and fruit variations, such as pomegranate and pumpkin. According to business advisors at SymphonyIRI Group, U.S. cider sales for the last 12 months were just shy of $90 million. Leading the pack is Woodchuck Hard Cider, which was first bottled in 1991 in a small cidery in tiny Proctorsville, Vt. Today, Woodchuck's bottling plant employs 125 people and cranks out 70,000 cases of hard cider a week. Bret Williams bought the company in 2003 and says he's watched as the U.S. cider market has gone from a 4-million-case category to 7-million. "When I started with the company way back when, all [we] heard was no," Williams says. "People didn't know what hard cider was. Now it's gone from fringe behavior to a very small movement. But it's becoming powerful. People are incredibly passionate about Woodchuck." While Americans still don't drink nearly as much cider as folks in the United Kingdom, where cider never lost its appeal, Williams thinks there's plenty of room for growth. "The whole cider category is only 0.2 percent of the beer market, and in England and Ireland, it's 15 to 20 percent. So there is so much upward traction for the category, it's almost mind numbing," he says. While industry analysts doubt the U.S. market for cider will ever be as big as the U.K.'s, Ireland's C&C Group, which makes the cider brand Magners, is more bullish. 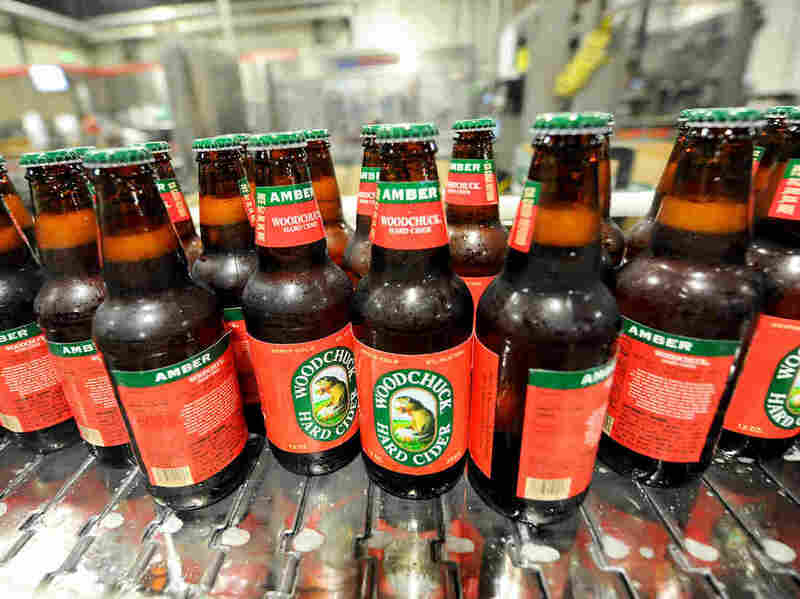 So bullish, in fact, that the company has announced plans to buy Woodchuck for $305 million.